Australia: home to some of the weirdest and most dangerous animals in the world, kangaroo-proofing for SUVs, and the world's largest supplier of Hemsworths. 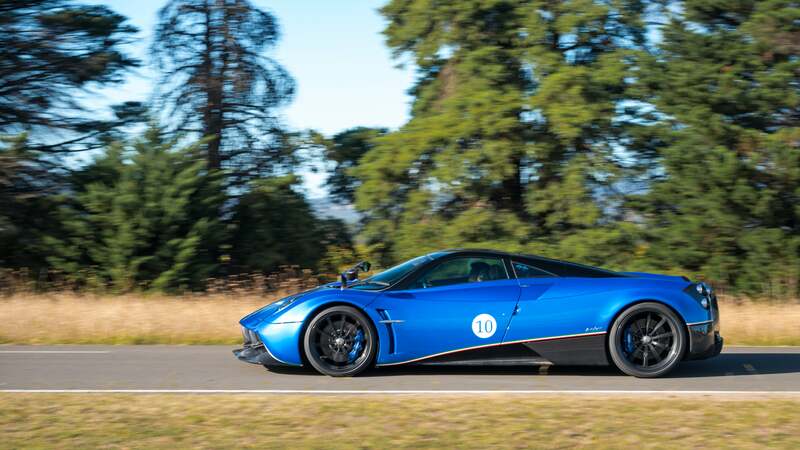 For a country with as much land and space as Australia there's one thing they have been short on - Paganis. 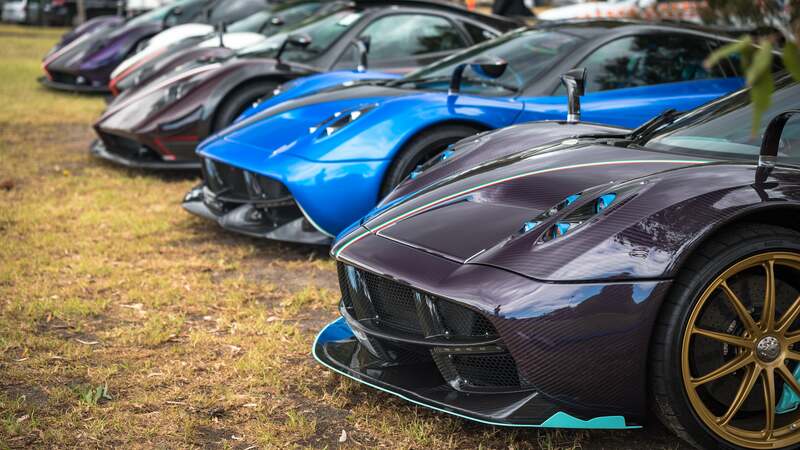 Before this year the total number of Paganis in Australia was one. Just one. 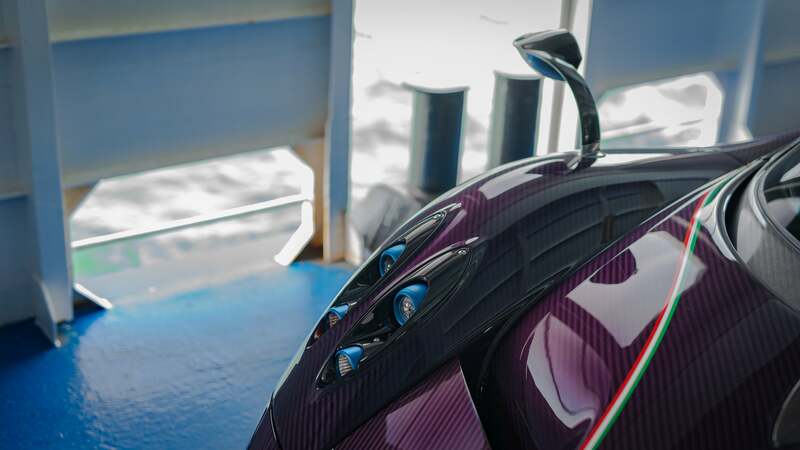 Enter the Pagani Raduno Pacific Run, the first Pagani rally south of the equator. 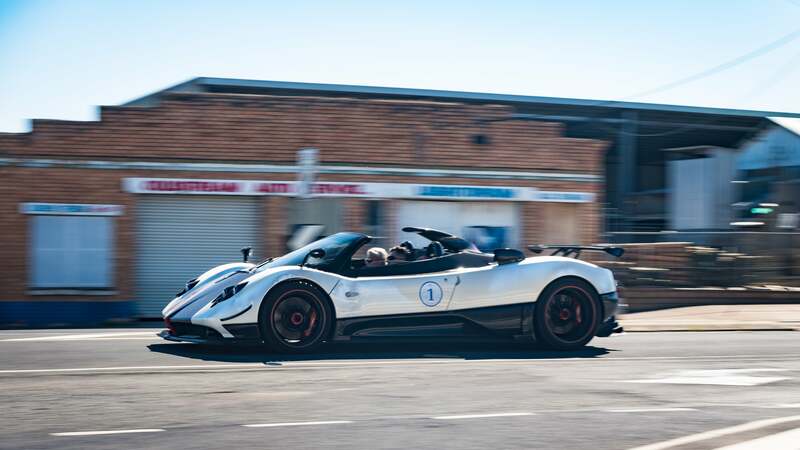 The lack of Paganis in the sixth-largest country in the world isn't something that affects most of the population there, but with more Australians buying up high-end cars, the market was ripe to bring in the ever artistic Modenese supercar brand to Australia. 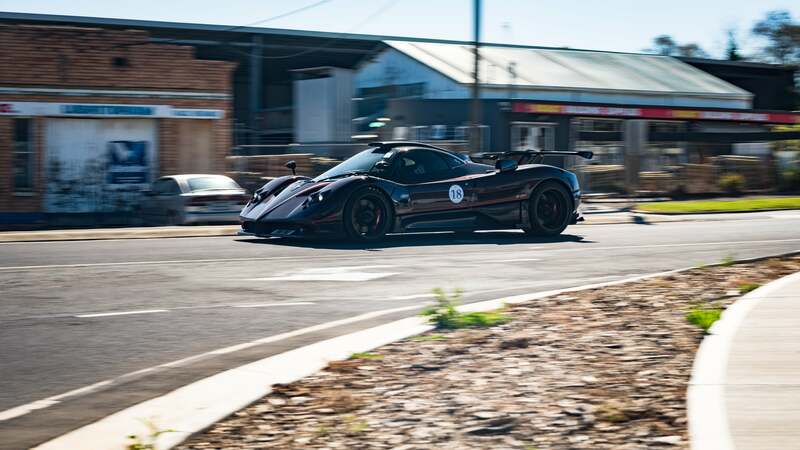 So last month Zagame Automotive Group added Pagani to their long list of brands, opening the first Pagani showroom Down Under. 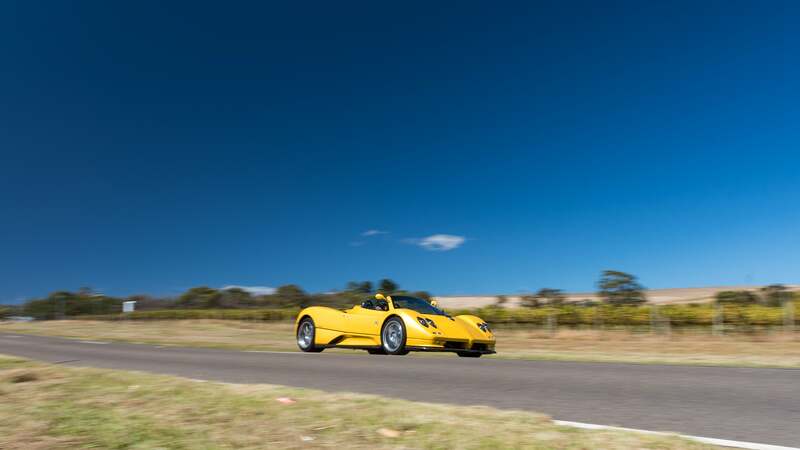 A moment as significant as this deserves a special celebration and what better way than by inviting some customers for a drive around Australia. 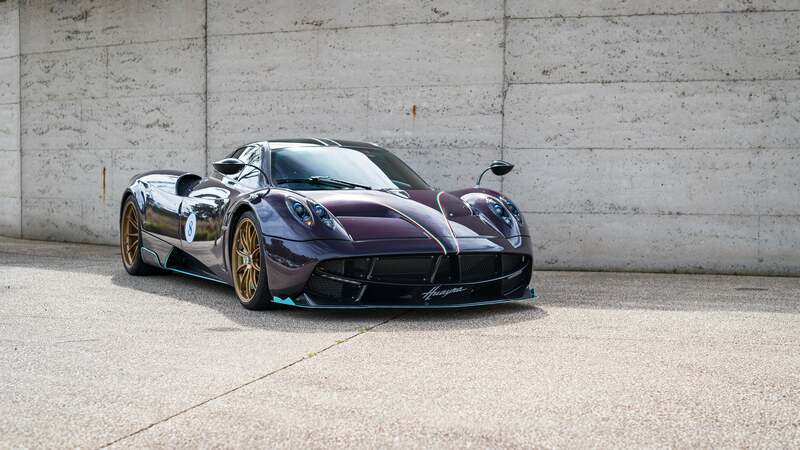 This brings us to the Pagani Raduno. Over the decade or so the Italian automaker has held these Radunos they have primarily been in Italy with some held in the U.S. and Japan previously. 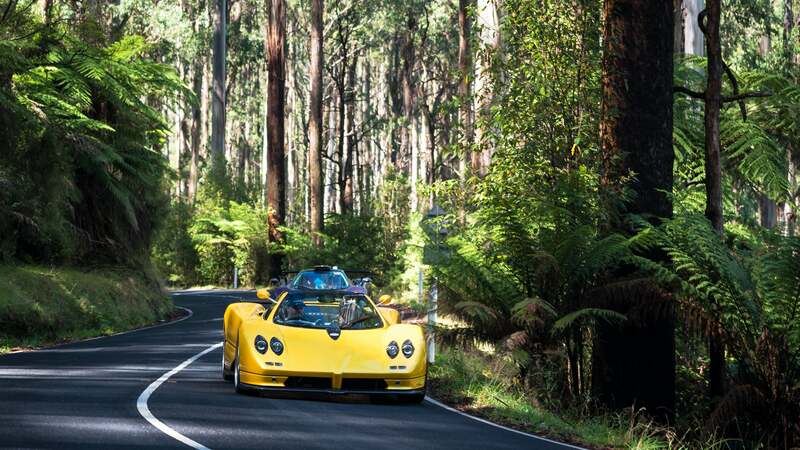 For the first trip Down Under, owners flew their cars over from all over the world to take part in a five day drive on some of the best roads in the state of Victoria in Australia. 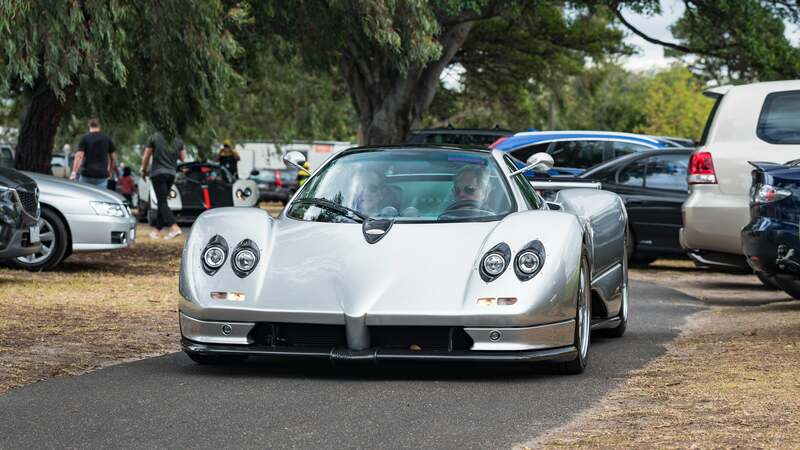 So while the rest of the world's eyes were on the Melbourne Formula 1 Grand Prix, I was there for the Paganis. 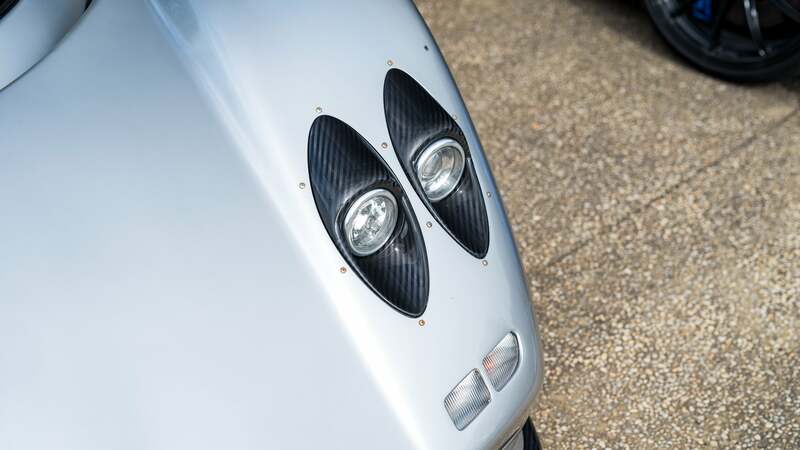 The cars on the rally included a silver Zonda C12 S, which was the first car to undergo Pagani Rinascimento, the factory's restoration program. 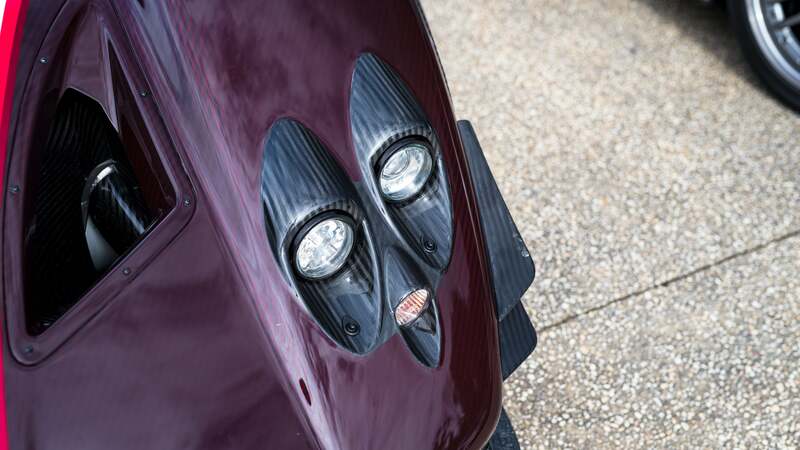 Another UK car was the purple Huayra Dinastia. Most of the cars came from Asia. 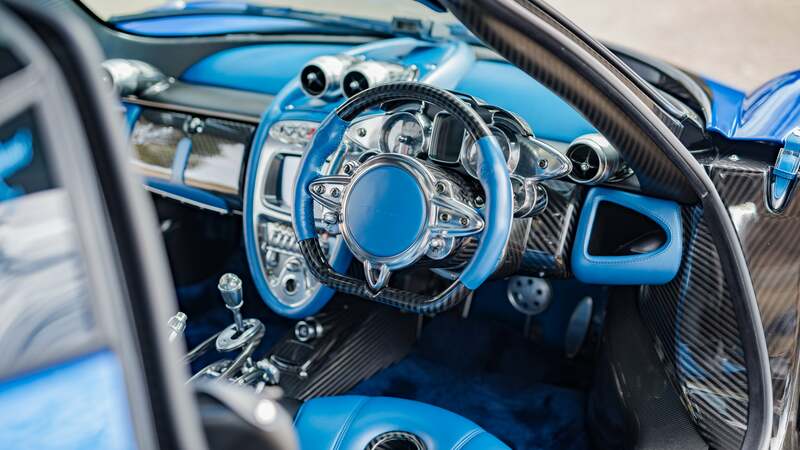 The blue Huayra SM Edition is from Singapore, the Zonda Fantasma Evo is from Hong Kong, and the Zonda Viola is from China. 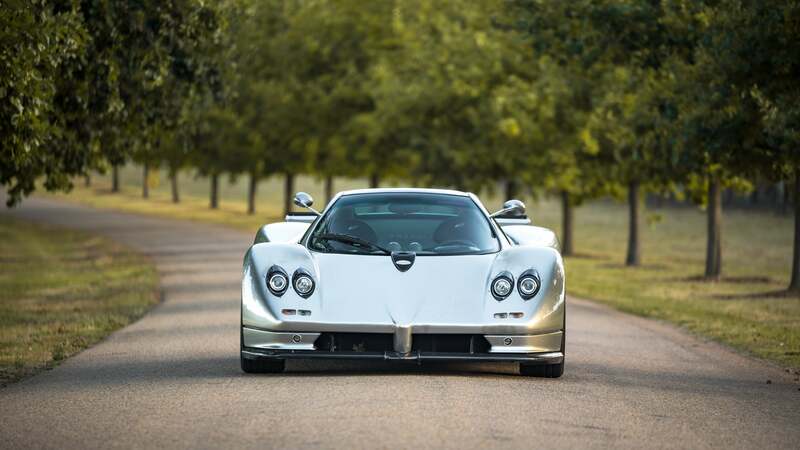 The white Zonda Cinque Roadster is from Dubai. 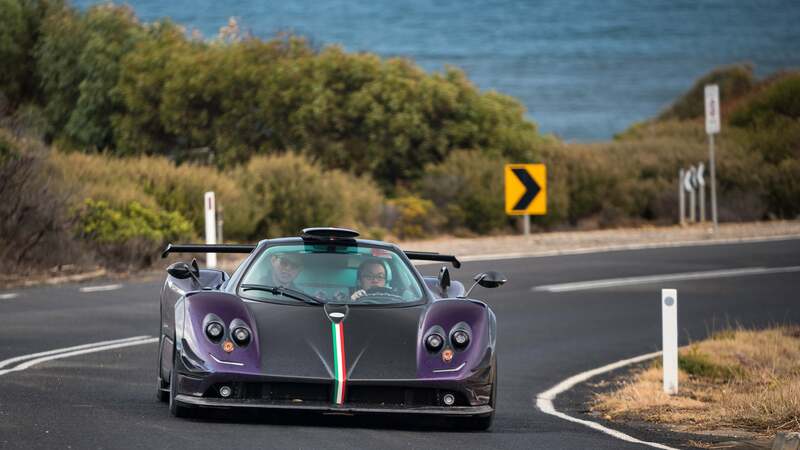 As a general rule these Pagani Radunos are usually kept hush hush, but as soon as the cars started arriving at the airport, Australian car internet went crazy with speculation as to why these cars were there and where they'd be seen. It didn't help the mania was fuelled by timing of the cars arriving on the weekend of the Grand Prix. The first two days over the weekend weren't particularly eventful; the cars just drove around the city. It did give a chance for people to see the cars driving on the road, which was nice. 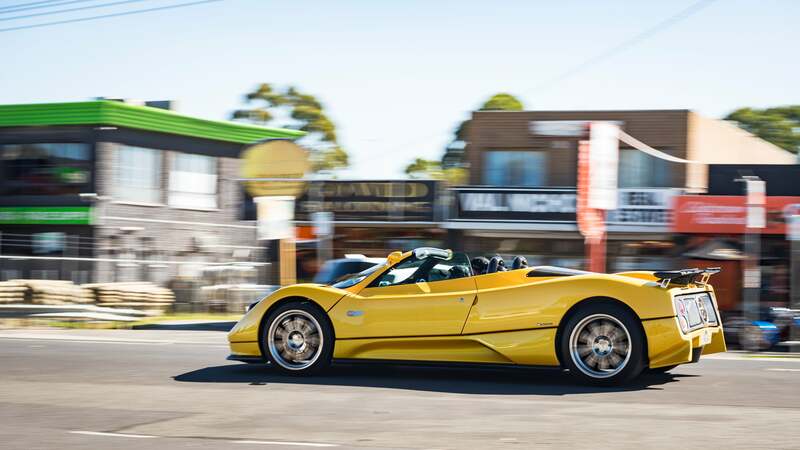 On Saturday four of the six cars drove over to Port Melbourne, while on Sunday the entire rally went to Albert Park for the Grand Prix. 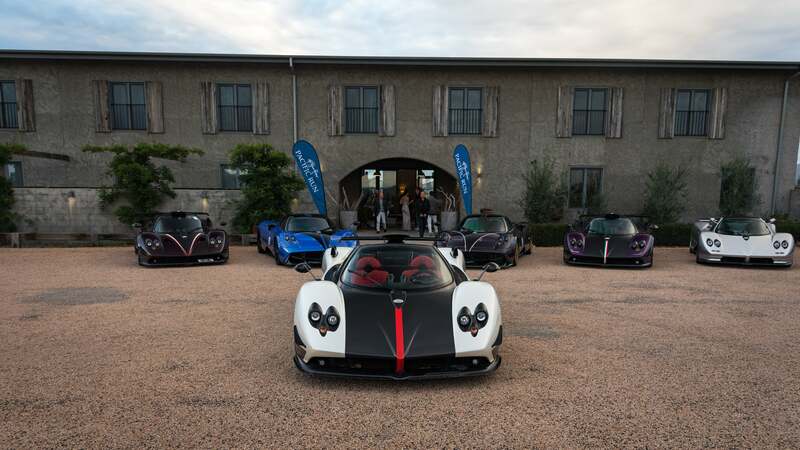 Normally these sort of cars would usually be locked away in some secure and private car park; instead the Paganis were left out in the open for everyone to admire. There was a security guard watching over the cars, but still they were out for everyone to ogle at. That's the part of what makes these Radunos great. It's about sharing these cars with fans in different parts of the world while learning about the local culture. 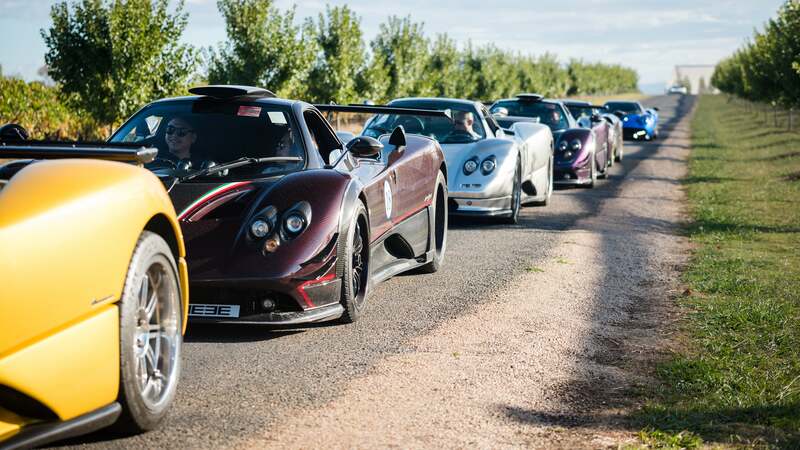 Seeing one Pagani is crazy enough but to see a convoy of some of the most exotic supercars in the world right in you backyard is something else. It's especially crazier in a country where the only one is rarely driven. Day three was the first proper day of driving on the Pacific Run. 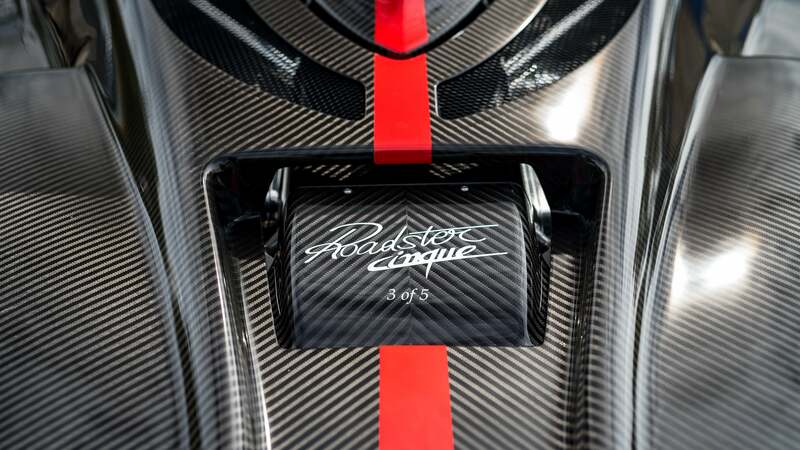 But in true Pagani fashion it didn't start off as you'd expect it would. The cars were transported from their hotel in the city center to Twelve Apostles, 230 kilometers away. 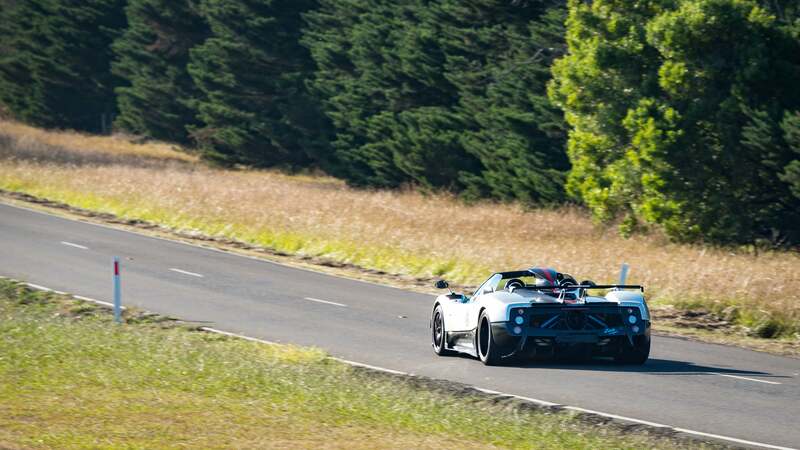 Meanwhile, while we drove down from Melbourne on a four-hour long trip, the rest of the Pagani party went there via helicopters. When they arrived, their cars were simply there ready and waiting for them. As you do. 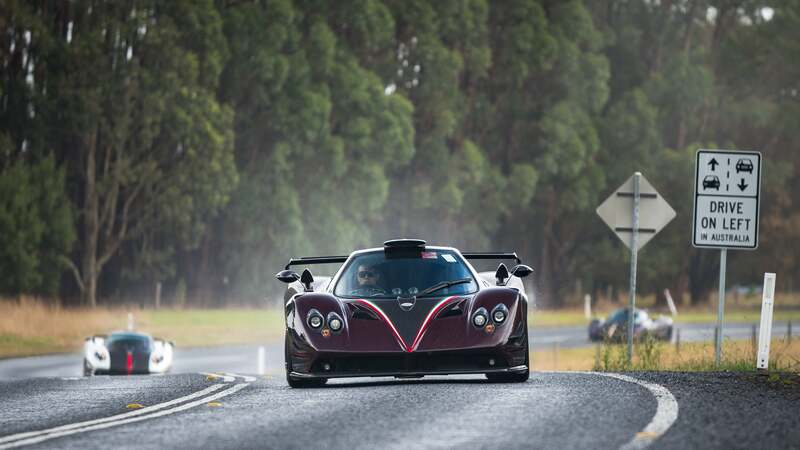 A six-car rally may not sound like much but what this particular Pagani Raduno lacked in quantity it made up for with scenery. The first part of the drive went over some stunning country roads with sweeping hills and long stretches of open and empty road. It's easy to forget how vast Australia is and how few people there are there. It the sort of untouched backdrop you'd see on something like Westworld. The rain on the first day was both a good and bad thing. On the one hand it made waiting for the cars to drive by quite annoying but on the other it made for some interesting results. The cars themselves got pretty filthy. 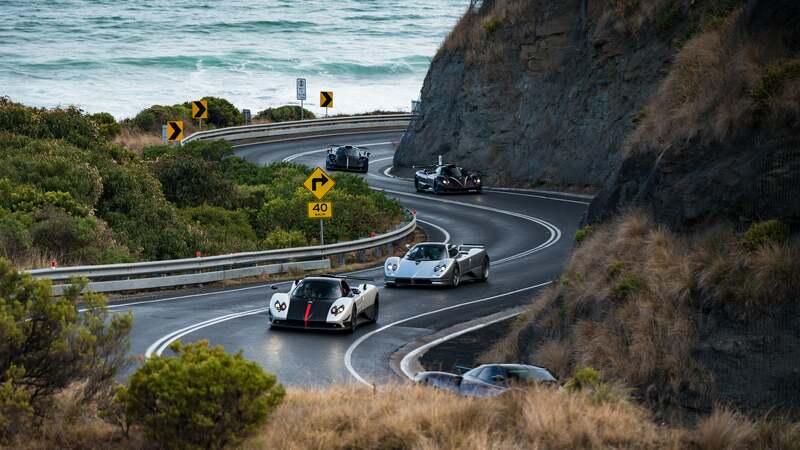 Before setting off on the best part of the Great Ocean Road the cars needed a quick fill up. No Raduno is complete without a petrol station takeover. It was timely as well, as the car I had to chase the Paganis — that Walkinshaw Performance HSV GTS — drank like a proper Aussie. The road may have been called the Great Ocean Road (which is a very Australian way of naming something. What is it? A great road. Where is it? Near the ocean) but the first part of it was actually inland. But once the road snaked closer towards the water, my god it lived up to its name. The road was an absolute joy to drive on. It was as if this road was designed for cars like these in mind. There was a fine mix of some corners with tight and technical turns, others were fast and flowing. But the one thing they had in common were breathtaking views out in front and to the side. 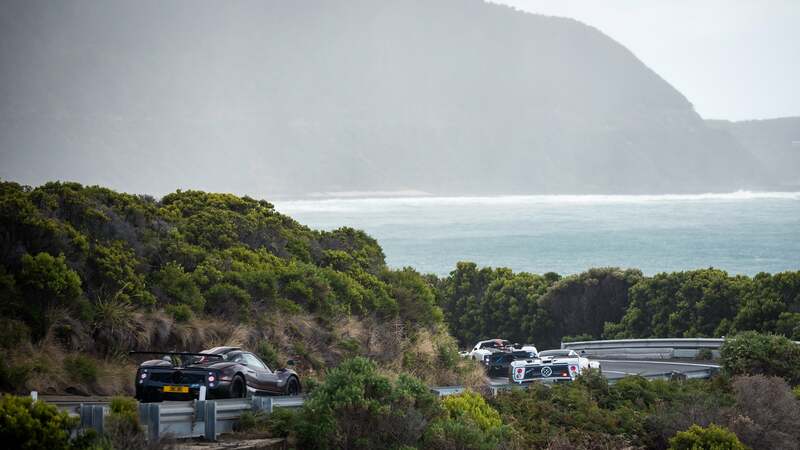 There was a section of the GOR after the Lorne, which snaked along some of the best views this side of New Zealand. Things were going swimmingly until we hit road works on the GOR. Locals say this road is notoriously full of road works and random rock fall, which was probably due to the rain. Some of the owners said they couldn't push their cars much due to the debris around on the GOR, which was shame as rest of the views were stunning. The third day ended with a quick photo op on Bells Beach just outside Torquay, where the rally regrouped after the drive on GOR. 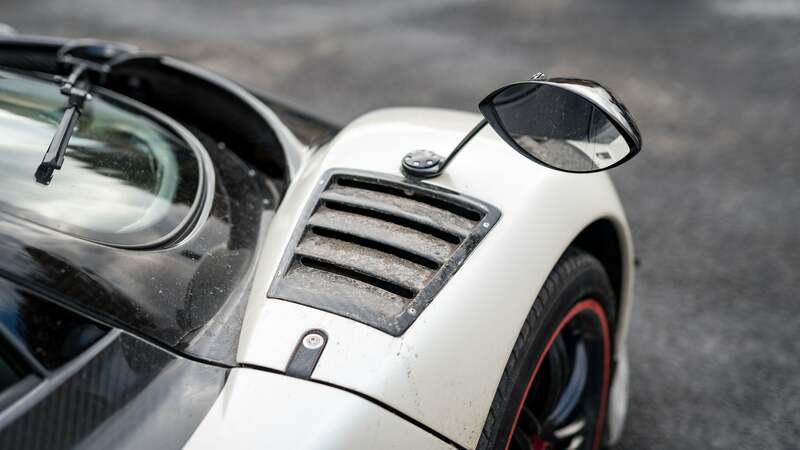 It was also a chance to see some of the dirt the cars amassed over 180 or so kilometers they covered on Day One. Cars like this rarely get driven out on these types of roads — they're more often used driving around at 48km/h in posh parts of big cities, so it was nice to see some of them covered in dirty. Of course that didn't stay long. Before checking into their overnight stay at Torquay the cars went into a quick DIY car wash place where the owners washed their cars themselves. Day four started early, but don't be too sympathetic. It was to get three cars out by the beach for a sunrise shoot. 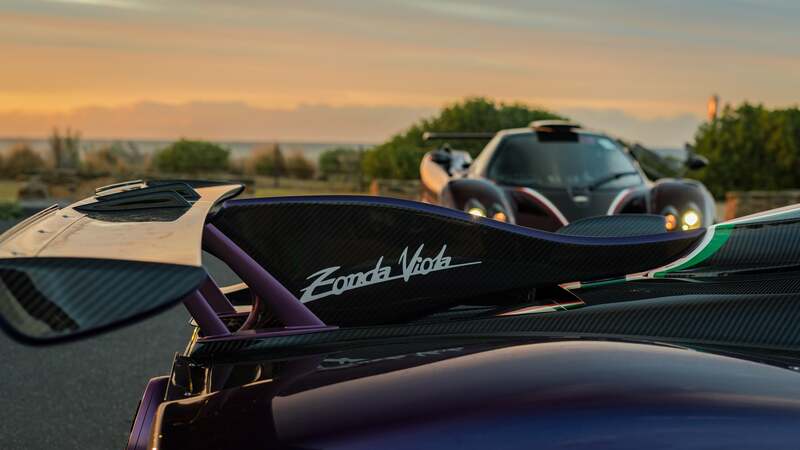 The cars for this shoot were the Zonda Fantasma Evo, Zonda Viola, and the Huayra Dinastia for the full purple/dark red theme. Having these three cars on the beach was a sight to behold, certainly the early morning runners and dog walkers found it just as incredible. Once everyone else woke up, the rally made its way from Torquay to Queenscliff to catch the ferry across Port Philip Bay. 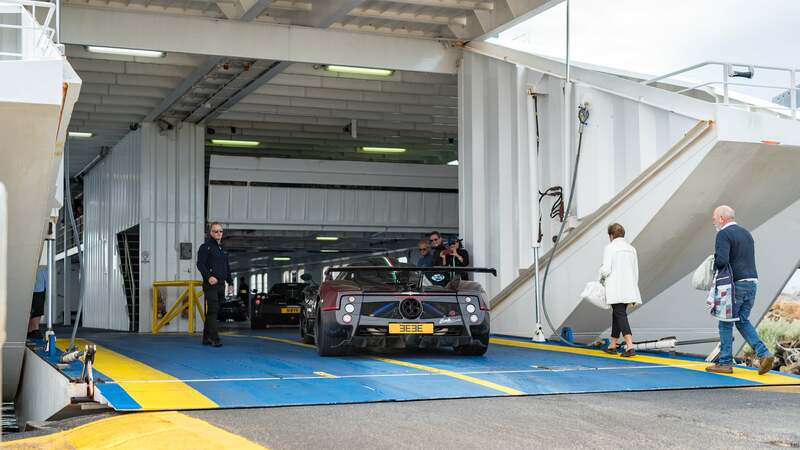 They were tightly packed in but it gave the rest of the people on board the ferry a chance to see the cars up close. Once they were off the ferry it was a quick drive to the lunch stop of the day at a winery. We took this opportunity to explore the surrounding roads with the HSV. There's a lot of leapfrogging involved with these rallies, so we got ahead of them on the way to the overnight stop. We picked out a straight bit of road just outside Port Philip Estate. It's easy to tell when they're coming. 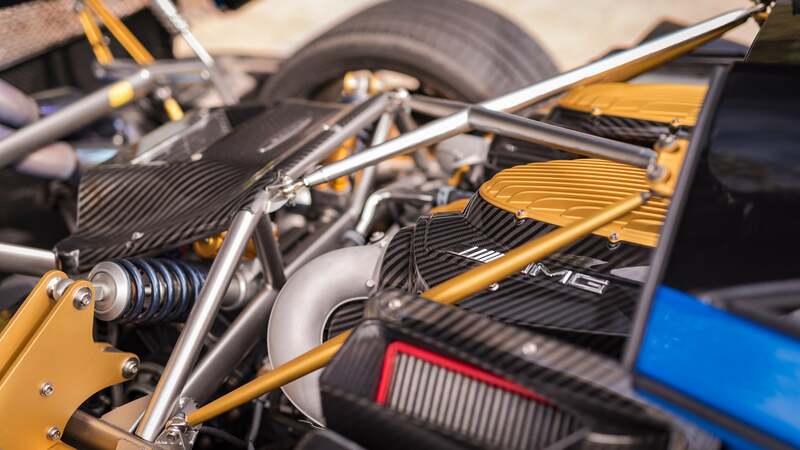 The howl from the naturally aspirated V12 from a Zonda, let alone four of them, is one of the most recognisable sounds in the world. The cars were being driven a bit harder on these straight roads, probably to make up for the road works and debris from the previous day. Before we could make our way to the overnight stop, another refuel was needed. If these Radunos can be summed up it's part fuel stop, part standing around waiting for them to drive by. Day four ended at the Meletos in Yarra Valley (think Napa Valley but more Australian) in what looked like the most Tuscan looking building they could find in Australia. It was like being on the 2017 Italian Raduno again. The fifth and final day started with another early morning start. 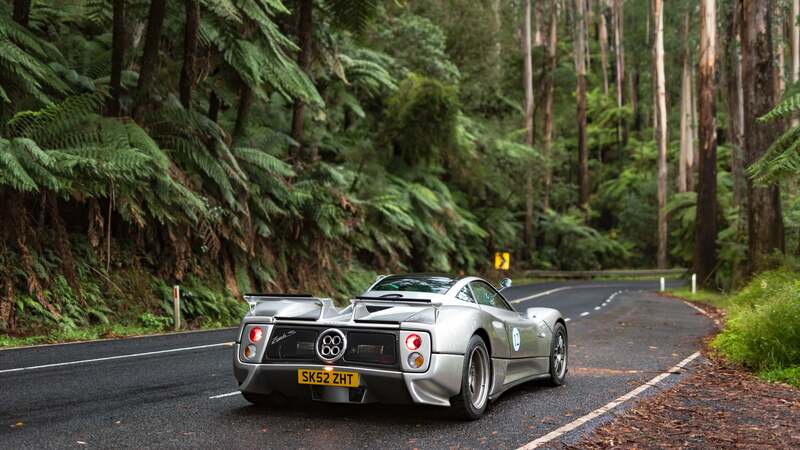 This time it was with the Zonda S in a forest. 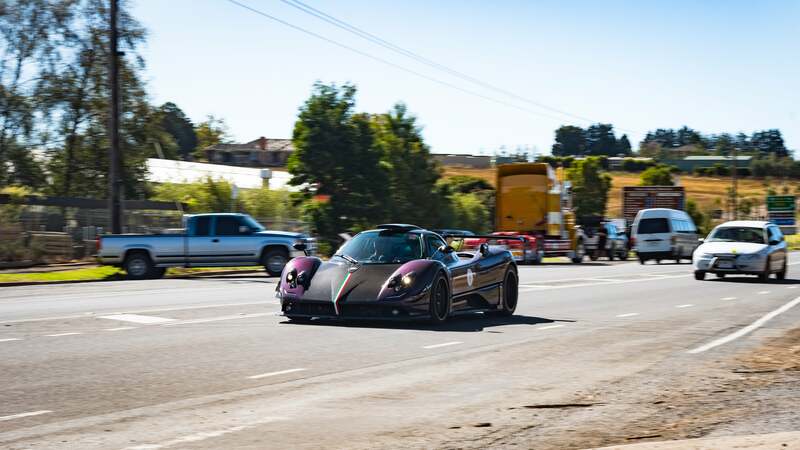 The Black Spur location was part of the route but the owner of the silver Zonda wanted photos and videos of just his car before everyone else came down this road. Make fun of him if you want, but this was one of the most stunning locations of the whole Pacific Run — which is saying something. The whole thing had a Jurassic Park vibe abut it. The way the trees pierced the sky and the tiny gaps the sun had to go through made it even more eerie. 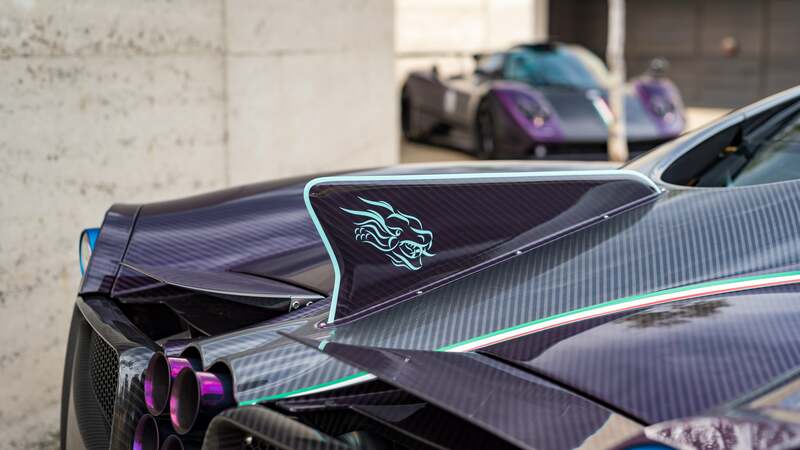 It was more appropriate something like a Zonda with its naturally aspirated V12 and manual gearbox would suit a prehistoric feeling location like this. But throughout the entire morning while standing on the forest floor, I was aware of spiders, snakes, and other creatures looking for their next meal were nearby. I didn't die, obviously, but it's not somewhere one can relax easily. Making out of the forest without dying, we regrouped with the rest of the rally to have a better look at some of the indigenous Australian animals. 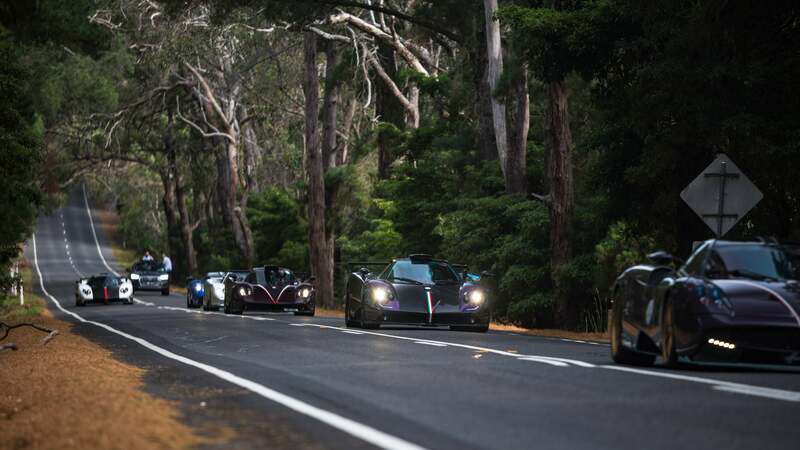 By this point the Australian Zonda Roadster from Sydney had joined the rally for the last day of driving. The Healesville Sanctuary, literally down the road from the overnight stop, was an impromptu stop as the owners wanted to see some kangaroos. 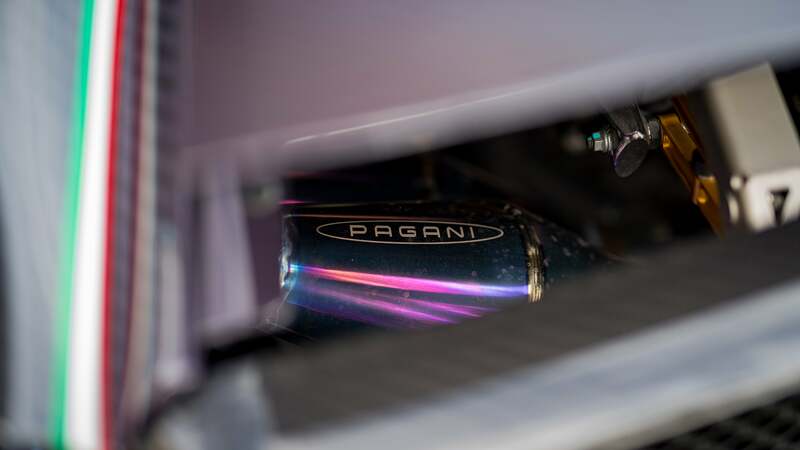 The Pagani guys had some personal time with them while we went out to have a look at other animals. A trip to Australia isn't complete without seeing some of the weird and wonderful creatures. 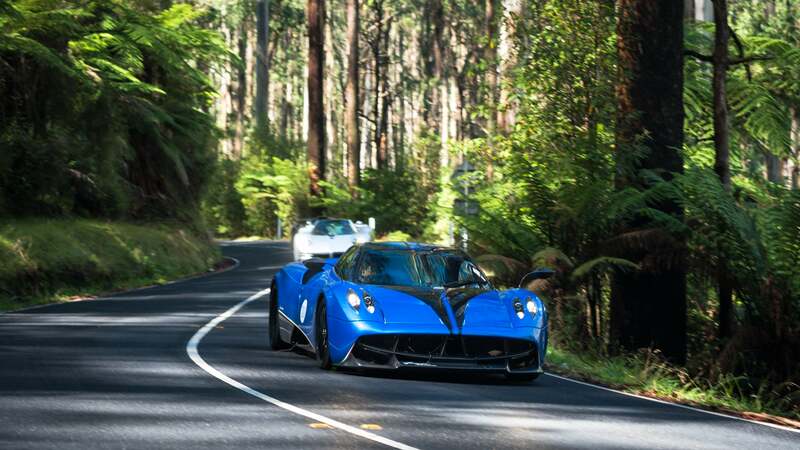 But we got a bit too distracted with the koalas, wallabies, and platypus we didn't realise the Paganis had left. Good thing those Tasmanian Devils were so damn cute. We later found out the cars had gone up to a place called Lake Mountain, which we're told was the best drive they had on entire rally with empty roads and clear skies. Those damn wombats were too cute. We managed to catch them on their loop back through Black Spur before a fuel stop on the motorway back to Melbourne. If anything, this rally was a great tour through the various petrol stations across the beautiful state of Victoria. It was truly an epic five days, and nothing major went wrong. 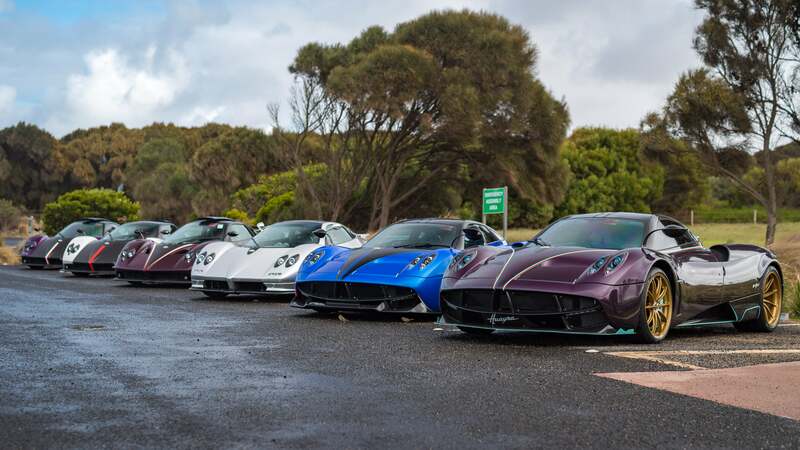 You'd think a convoy of half a dozen Italian supercars would result in calling roadside assistance but the Paganis managed to survive the Australian terrain. Now if this was in the Outback, I'm not sure all the cars would have made it back in one piece. It would have been cool to have the cars drive on Albert Park after the Grand Prix for example, or make a trip out to the Philip Island track. Perhaps that's for next time.